Urban Poling is proud to announce that we will be at the upcoming Canadian Physiotherapy Association Conference at the Palais des congrès de Montréal, from November 1 to 3, 2018. 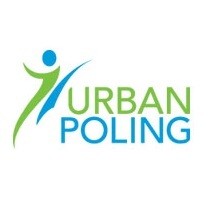 Find out more about latest research on the health benefits of Urban Poling (Nordic Walking) by checking out our poster presentation and get an at a glance scoop on the health benefits of this full-body fitness easy and accessible form of exercise.. Walking with poles activates up to 90% of the body’s muscles, burns up to 46% more calories, providing both aerobic and resistance training all in one very efficient workout. We encourage you to find out more on how you can walk your way to better health. It all starts with a step, let’s help you take it!